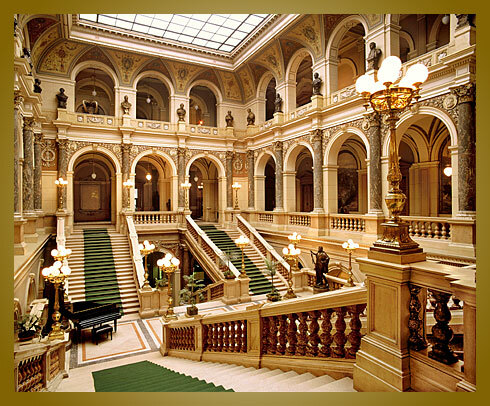 It is Hollywood irony that most of the beautiful locations featured in 2006’s Casino Royale were set in the Czech Republic rather than Montenegro where his mission was actually centered; nevertheless, attracted by the luxury and opulence of these locales, I was determined to hunt them down; especially since I was heading to the Republic myself (this evening actually). 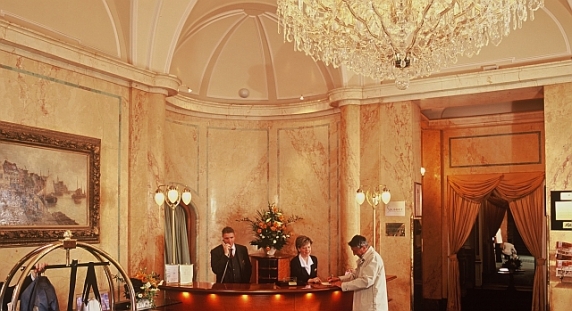 Here’s a handy guide to the hotels featured in James Bond’s Casino Royale “adventure”. Real and fictional James Bond hotels in brackets. One&Only Resorts runs several ocean view resorts ranging from Dubai to the Mauritius but Ocean Club situated in the Bahamas is where we’ll be casting our attention. After a dressing down by his grand dame boss M, Bond takes a “holiday” tracking Le Chifre down to this resort, legendary for entertaining the world’s elite for more than 45 years. Sans booking, he decides to book residential-style villas that are ideal for couples and families and indulges in some rather unwholesome entertainment. Though the movie hardly shows him eating at the seaside resort, renowned chef Jean-George Vongerichten runs the club kitchen providing some unforgettable dining experiences. 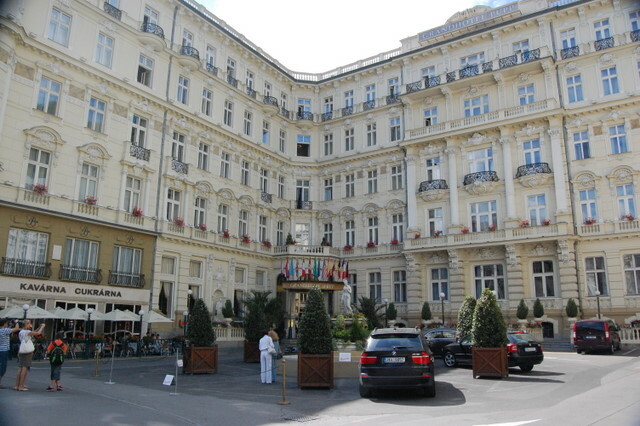 Grandhotel Pupp in the Czech Republic stands in for Mr Bond's Hotel Splendide in Casino Royale. You can (but really shouldn't) practice running and jumping over hedges to get to your Aston Martin. Grandhotel Pupp is rather proud of its Bond connection and has actually created a “Follow in the Footsteps of Agent 007” experience. 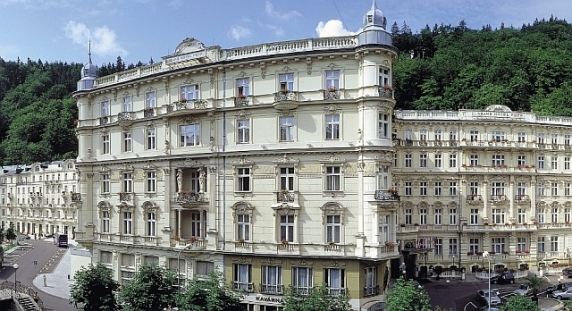 The Grandhotel Pupp has been a traditional symbol of Karlovy Vary, Czech Republic for three centuries already and is considered by many of its inhabitants and guests as a first class 5 star hotel. Beyond the film, Grandhotel Pupp is also a place of historical significance. The first of the hotel’s buildings were built under order of Lord Mayor Deiml in 1701. Its heritage and history, while tumultuous due to the eventual rise of Russia was rather successful; In 1951, pro-communist elements would soon name this exotic stay Grandhotel Moscow. It was finally returned to its Pupp family traditions and renamed the Grandhotel Pupp in 1989. Casino Royale would christen it Hotel Splendide in 2004; the casino itself (or rather the exterior) was set in the Kaiserbad Spa. 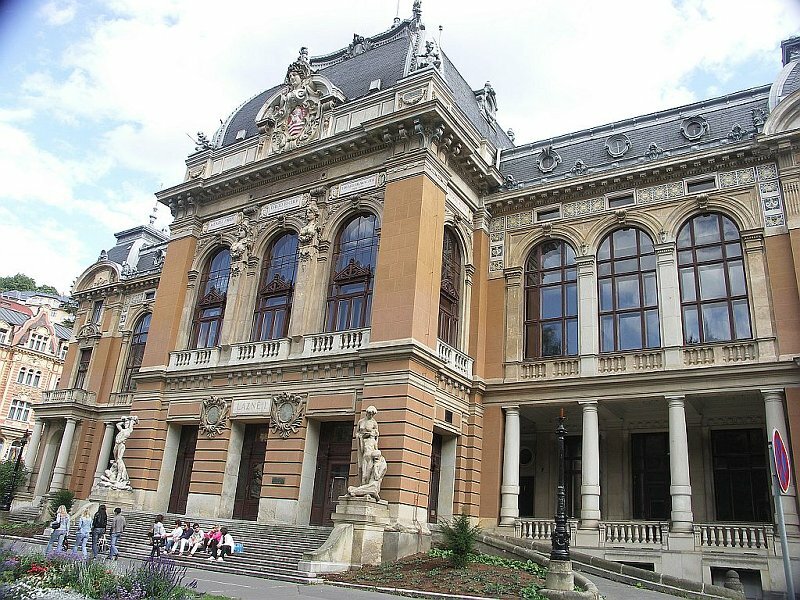 Once a spa, the Kaiserbad was used as the exterior for Bond's first mission as 007 to stop Le Chifre from winning an exclusive members only poker tournament at Casino Royale. Though technically not a hotel, I’d assume like all modern casinos, the Royale is a hotel unto itself. It’s perhaps most ironic that Montenegro, recently independent since 2006 actually required the publicity and tourist infrastructure more than the already popular Czech Republic but the sad reality was that most of Montenegro’s surrounds were still antiquated Socialist-era structures and thus unsuitable for a James Bond movie. I wonder if some astute business man has managed to revive this grand baroque-roman style building and turned it into a spa/restaurant experience of some sort since then. I guess I can find out while I’m there. They make love on some beach somewhere, sail down to Venice, Italy and then make love again in (what I believe to be) some really luxurious hotel with feather down pillows and fluffy duvets and a great view of the Piazza San Marco. Sadly, the hotel doesn’t exist, only the “grand lobby” is real. 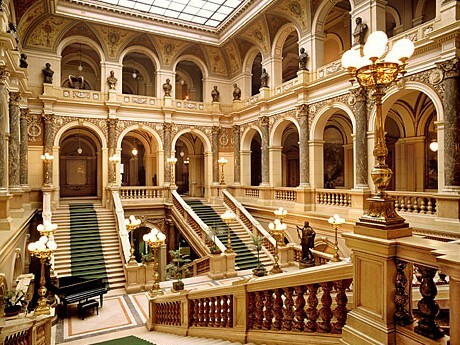 James Bond races down these steps in Prague’s Narodoni Natural History Museum after realising that Vesper might be making a hand off with their poker winnings. 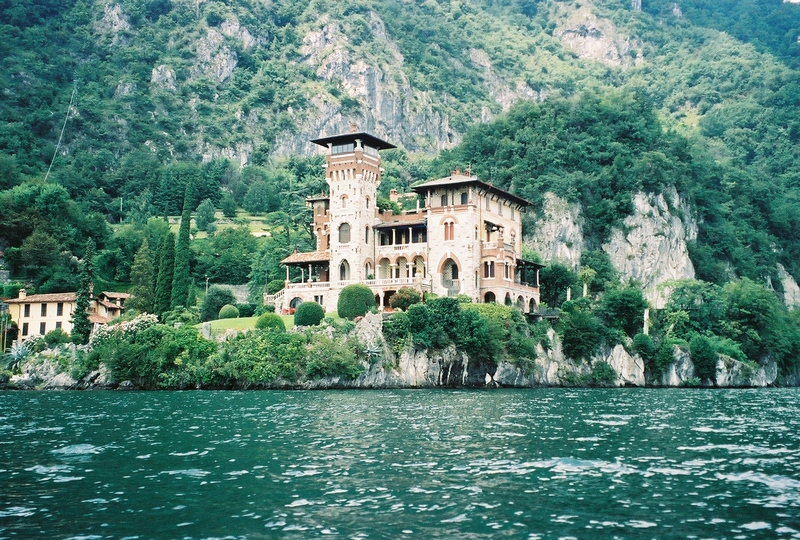 The only real Italian location used was the Villa La Gaeta on Lake Como where Bond shoots Mr. White in the knee. James Bond arrives at the Ocean Club with a rental Ford Taurus and ties his shoelaces in this very driveway before rear ending some hapless vacationer’s SUV into parked cars in the carpark. It’s a great view. Pity Bond decided not to seduce Solange here. Instead Bond chooses to seduce Solange on the living room floor in his suite. Can’t blame him though, she’s exotically hot. The view from outside his room. Only on MI6’s expense account. That, or his salary is just plain ridiculous. James Bond would cross this path as he meets up with M to discuss Le Chifre’s escape and subsequent murder of Solange. Bond cheeses Vesper off with his devil may care attitude and picks up the keys to his Aston Martin here. Though the movie doesn’t state, I assume Casino Royale is intended to be within walking distance (since he returns to his room for a shirt change) to the Hotel Splendide. Another view of the Grandhotel Pupp aka Hotel Splendide. Once a spa, the Kaiserbad was used as the exterior for Bond’s first mission as 007 to stop Le Chifre from winning an exclusive members only poker tournament at Casino Royale. Xanten ist zufrieden mit der Entwicklung seines Internet Handels. köstlichen Kalorienbomben unter den Getränken zum Standardsortiment mit Partys oder in Bars. So ein Abend kann richtige Wunder bewirken stellen diesen gestressten Körper stracks wieder ein paar Energiereserven verschaffen.